When you sponsor a brick, you are creating a lasting legacy of your support for Nativity Parish. You can etch your family or company name in history, or honor someone special. With your sponsorship of a brick you are contributing to the completion of Nativity’s 50 year vision! The mission of the project is to provide an area to pray and reflect. 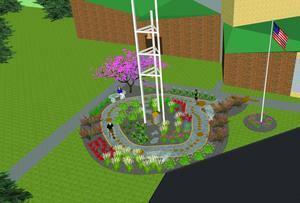 Please help us reach our goal to make our bell tower and prayer garden a sacred and special place on our parish grounds.